Don’t think you’ve got enough time to train? There’s ALWAYS time for Tabata. I was pushed for time on Sunday morning as I had to travel home and make myself look presentable for a family lunch. There was no time to do my planned run that morning so instead I settled for running later and starting off my not so lazy Sunday morning with some Tabata. If you’re not familiar with Tabata it’s basically a type of HIIT (high intensity interval training) lasting four minutes. It’s 20 seconds on and 10 seconds off – which works out at 8 rounds. So for example it would be 20 seconds of push ups, 10 seconds rest, 20 seconds of push ups…etc until the four minutes is up. The genius behind this is Professor Tabata who carried out a study involving two different trials with the Japanese Olympic speed-skating team. One group was asked to cycle at a moderate intensity five times a week for 60 minutes while the second group switched between 20 seconds of max effort and 10 seconds of rest for four minutes for four times a week in addition to one 30 minute cycling session at moderate intensity. Basically Professor Tabata concluded that it’s the shorter recovery time that helps to improve both aerobic and anaerobic fitness. You can read more about it and the study at Tabata Official. Tabata is great because not only does it help fitness and endurance it’s also good for fat loss and unlike steady-state cardio the high intensity intervals actually increase the number of calories burned after you stop exercising for up to 24 hours. It also helps to maintain that muscle mass and even build muscle as Tabata targets those fast-twitch muscle fibres. One of the best things about Tabata, aside from the fact that it takes just four minutes, is that you can do it with any type of exercise from sprints to squats, push ups to mountain climbers! Go on YouTube for a Tabata countdown timer. Trust me, this gets hard really quickly! Try and maintain the same number of reps per round. 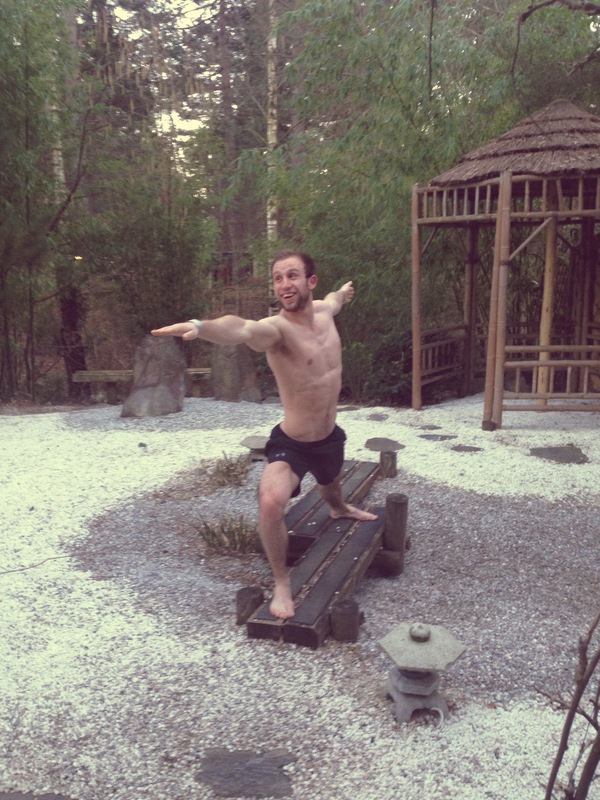 Keep an eye on Dane’s website as well as he’s planning to do a Tabata post sometime soon! Celebrating after doing out 4,433rd & final swing of the month! 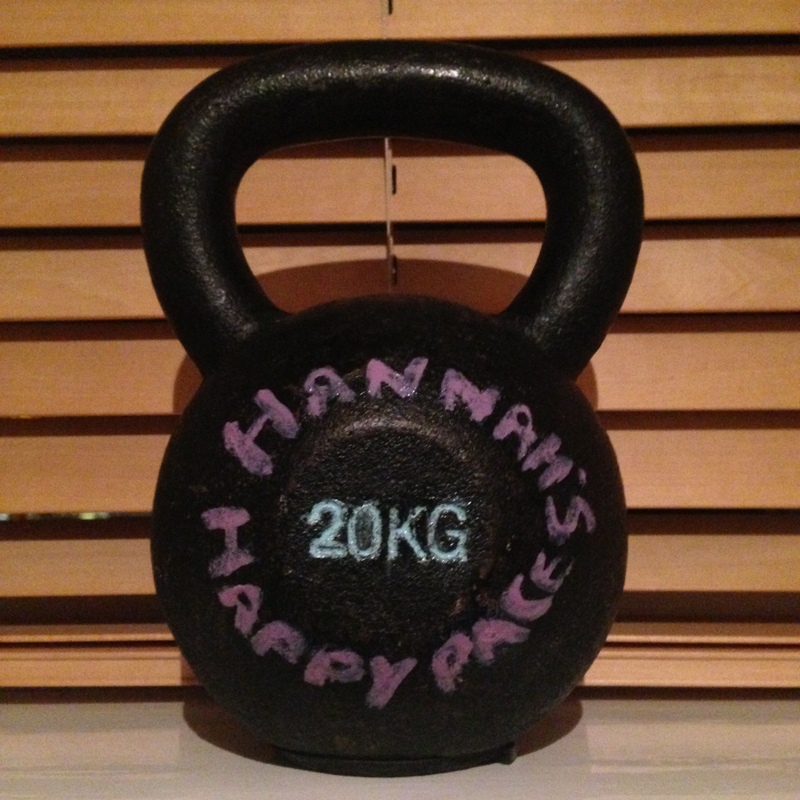 So after 143 swings every day, 1,001 a week and 4,433 in total, Kettlebell Month is officially over. It has been a great challenge and I think we chose the best one to kick-start 2015. To jog your memory Dane and I decided that instead of creating new year’s resolutions this year we would take on monthly challenges, starting with kettlebell swings. On certain days, namely those when I had the previous days swings to do as well, it was tough but over the past 31 days I’ve seen changes in my body as well as a definite increase in strength and endurance. 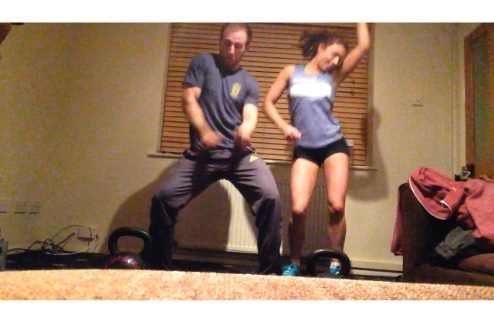 Throughout the challenge I used a 20kg kettlebell whilst Dane used a 24, 32 or even a 48kg bell and we did Russian swings which you can see a video of later in this post. Swings are such a simple exercise but when done correctly they provide fantastic benefits. Here’s a little bit of what I love about kettlebell swings. Simplicity – You don’t need a gym or a whole lot of space to do swings. All you need is this one piece of equipment and 10-15 minutes out of your day. 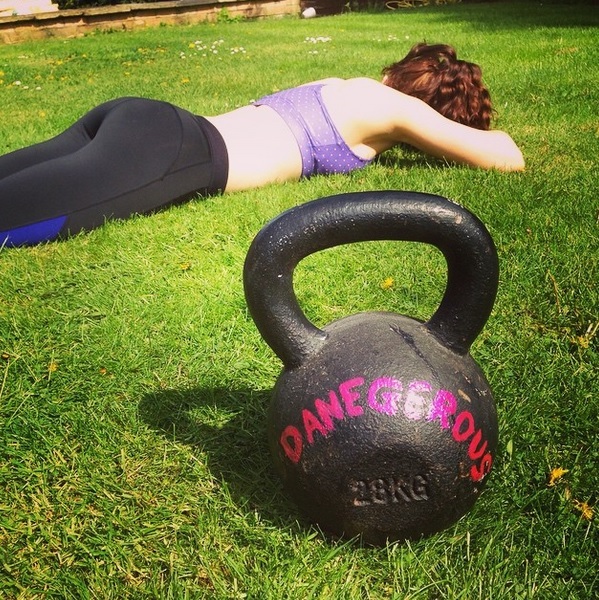 Kettlebell workouts needn’t be 30-40 minutes long- they don’t even need to be 20 minutes long! Build them in to an EMOM (every minute on the minute) workout or a Tabata set which is eight rounds of 20 seconds on, 10 seconds off for four minutes. Increased aerobic and anaerobic capacity – Because they’re such a good HIIT (high intensity interval training) exercise, kettlebell swings will boost your anaerobic capacity whilst your lungs and heart will get a good workout with high reps.
Combines cardio and strength training – What more could you want from a workout?! Strengthen your core muscles – With every swing you do you are engaging your core and a strong, stable core will transfer in to success in other sports/fitness areas as well as aesthetically. Tighter glutes – ‘nuff said. Increased power – Because the swing is a hinge movement, kettlebell swings will increase the power in your glutes and hammies as your thrust forward. No more back problems – Swings help to reduce neck, shoulder and lower back pain as they develop the hamstrings, glutes, core and back. Fat burner – Not only are kettlebell swings a great HIIT exercise, they also boost your metabolism post workout when done with a decent weight. My core was definitely stronger and this in turn has helped with my running as well as exercises such as toes to bar at CrossFit and keeping my core tight in other exercises and lifts. Tighter glutes which has also helped with my running. They got easier! When I first started CrossFit swinging a 16kg was mega tough but now I know that I can do 20 swings at 20kg EMOM for 10 minutes. 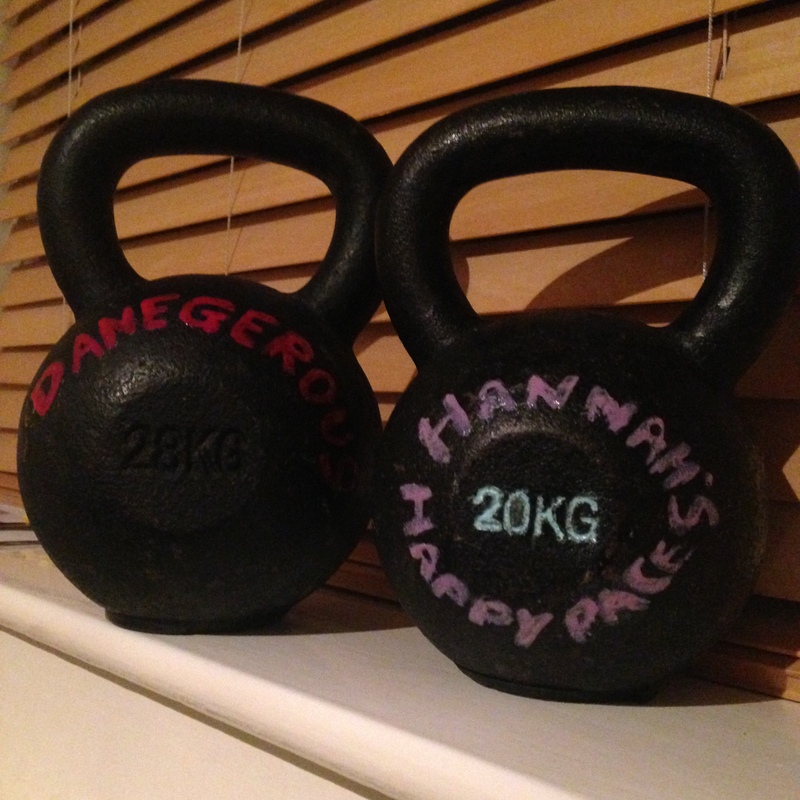 Endurance – my endurance improved and it became easier to hit 12 swings per round in a Tabata set and basically just to keep swinging!! Time – I learnt that no matter how busy I might convince myself I am, the reality is that there’s always time to get something done. On days when I thought I didn’t have time I just did a Tabata set and within four minutes I’d got 96 done. Easy. Here’s a video of the last day of swings 20 EMOM, my grip was GONE by the end! 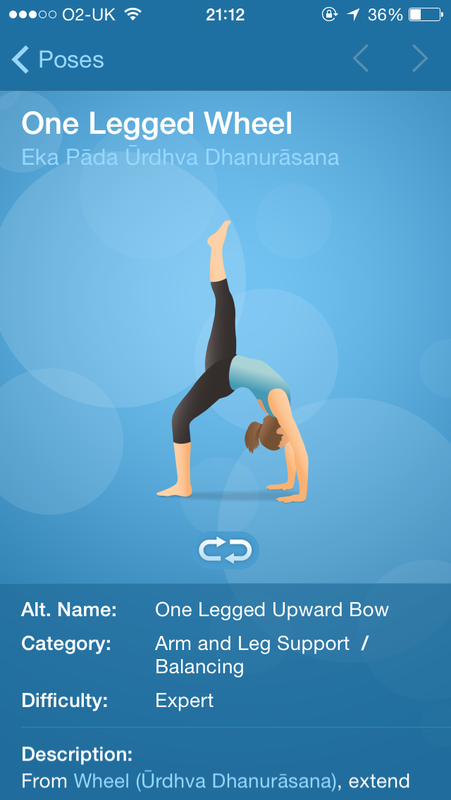 We’re now moving on to yoga month which I am SO excited about. 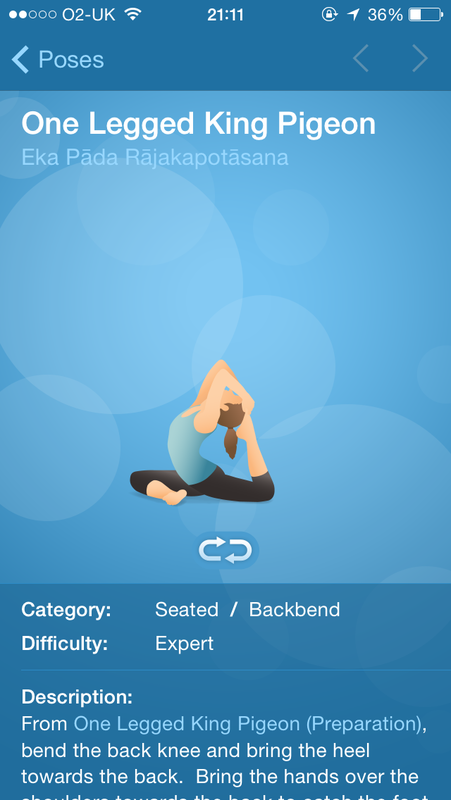 I don’t do anywhere near enough stretching as I should do so I’m excited to improve my flexibility and strength and hopefully I’ll find it relaxing as well. Dane’s getting in to the swing of things already! 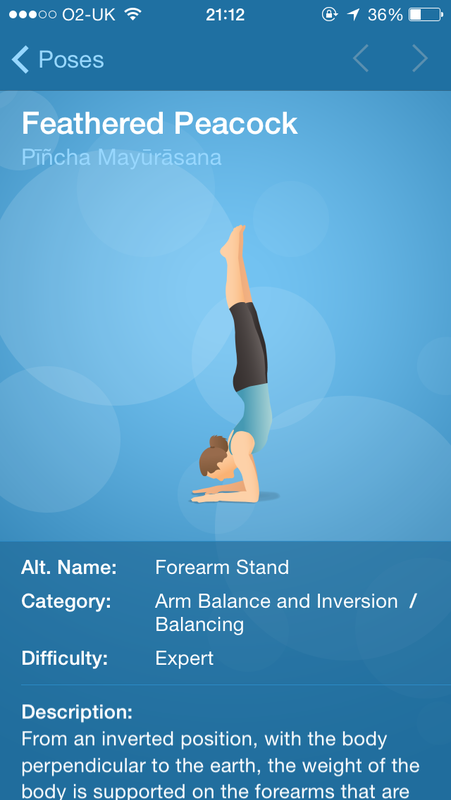 I have downloaded the Pocket Yoga app on to my phone and iPad and here are some of the poses I’m going to try and master by the end of the month -apparently I’ve picked some of the hardest ones – go hard or go home, ey! It’s no secret that I love burpees! I love the feeling I get after doing burpees as I feel as though my entire body has really worked hard and it’s because of this that I love incorporating them in to my training. So what’s so good about burpees I hear you ask. Well, burpees work your entire body unlike isolation exercises you might do at the gym. Ultimately this means that you will actually burn more calories at a quicker rate when doing burpees compared to other exercises. Not only that but burpees will also help you to get stronger as every rep works your chest, glutes, hamstrings, core and arms. They are a great HIIT (high intensity interval training) exercise and with no equipment needed there’s no excuse not to do them as you can do them pretty much anywhere. Doing burpees is a good way to get your heart rate up quickly which means they are a great conditioning exercise to do and they really do help to build endurance. There are so many different types of burpee variations to try from the classic chest to floor burpee to burpee back flips for the more athletic amongst you. If you’ve never incorporated burpees in to your training before then start by building them in to your warm up doing 5 or 10 at a time and then as you get better & more confident you can progress to some other variations.